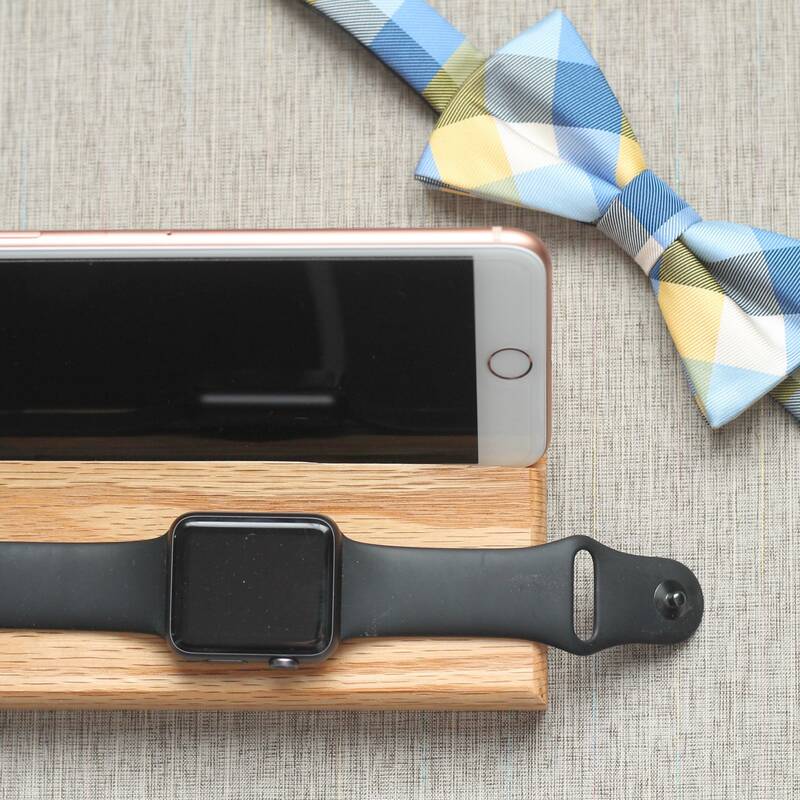 This docking station is a perfect Father’s Day gift, add your sentiment in the form of Dad's initials, Dad, or a message on the underside engraved! Can be a gift for any occasion, really! 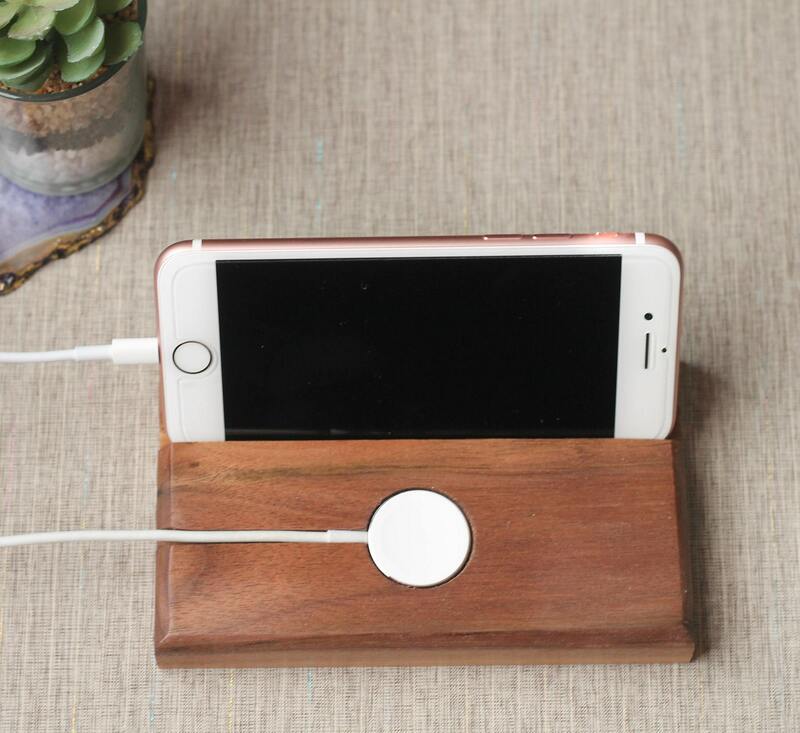 Your desk or nightstand will be clutter free with this storage solution. Main picture is an iPhone 8+, last picture shows an iPhone 7, both phones without cases. 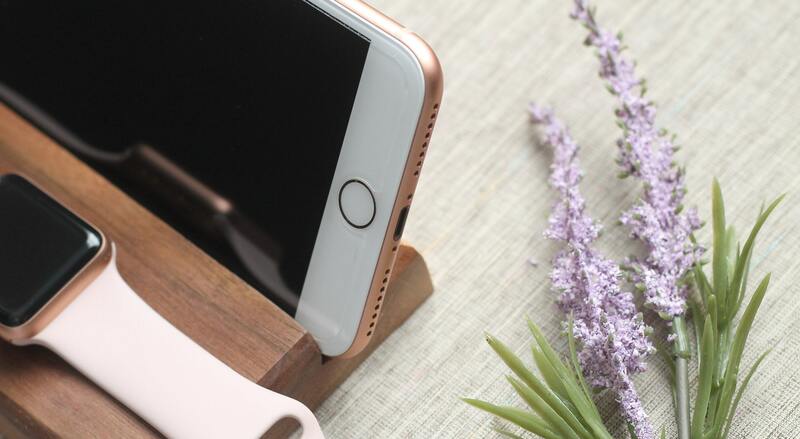 See note at bottom or send us a message to customize the width where the phone rests. We make all of our Apple Blocks by hand. We laser engrave them with either your initials, or almost anything else you like. We cover all with coats of polyurethane to protect the integrity and beauty of the product! If you want no polyurethane, select an option with "NoPoly". Do not waste your time on cheap imitations. We use solid pieces of oak, cherry, and walnut in our construction. Remember, when you order, option of initials added for additional charge. Included are up to 3 initials, anything more will require an upcharge. Initials are burnt in by laser, so the sky is the limit to what we can engrave- contact us for special requests prior to ordering and we'll do our best to create your vision. INITIAL STYLES: Choose between STYLE 1- Traditional Block letters or STYLE 2- Block Monogram, including the style number and order of initials in the notes section at checkout. Please be sure to choose a style, if no style is selected, the traditional block lettering (style #1) will be applied. STYLE 2 NOTE: We will engrave STYLE 2 as a traditional monogram—the LARGE initial is the LAST NAME- so please note very clearly the initial order you would like. To be safe, put their full name in the notes section to dispel any errors (e.g. John Richard Smith—would turn out on the monogram JSR.) if you have any questions or doubts, feel free to contact us. Best bet? Put their full name in the notes! Accessories are for display only. We always provide a 3/8 inch slot to allow for the majority of phone types. 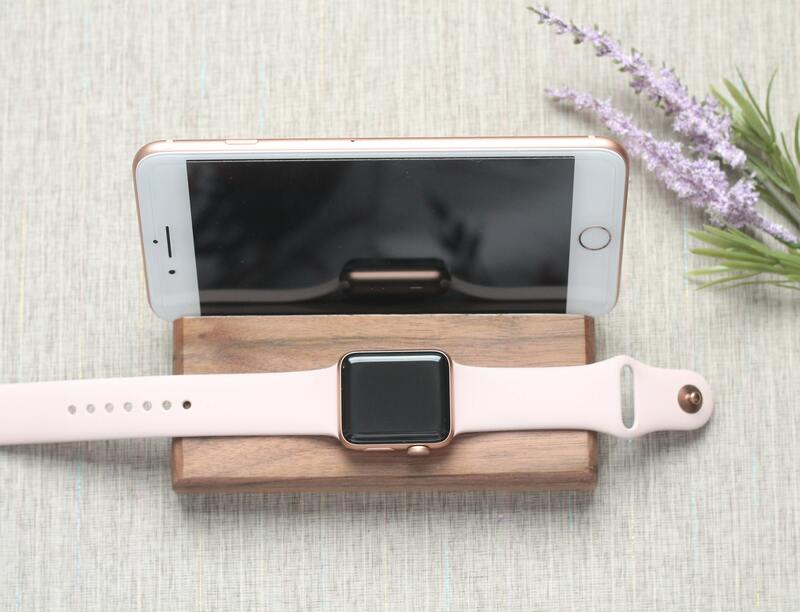 We also provide the correct size for the apple watch charger on our Apple Block. If you need another size for your phone, please let us know! 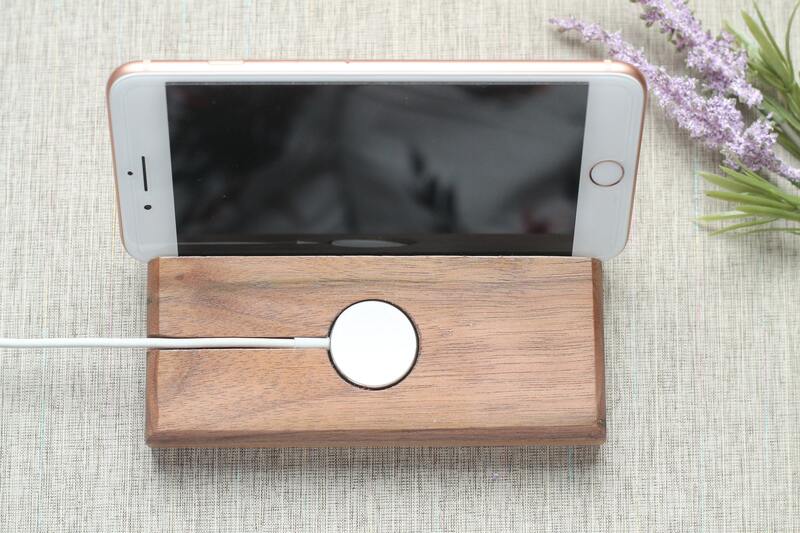 Every product is made by hand, so they are around 5.5 inches wide x 3 ¾ deep x ¾ high.